Liverpool manager Jürgen Klopp has said that Reds fans now know the reality of the situation at Anfield and are aware that he is no miracle worker that will change things overnight. “It was like ‘F***! We don’t win 8-0!’ It’s a hard job, but I knew it would be’ admitted Klopp after drawing his first two games in charge. The former Borussia Dortmund trainer has warned the Liverpool faithful that he cannot create a “genius plan”, when his side are not yet a Bayern or Barcelona. The straight talking German is aware of the task at hand however, and said that if he had wanted an easy life he would have remained on holiday rather than take over from Brendan Rodgers at Liverpool. “You all know that football is not the game where you can have the genius plan without Barcelona or Bayern Munich players,” he said after the disappointing 1-1 draw with Rubin Kazan, with a smile. “Against Kazan they made a goal, so okay, maybe one fault? Maybe a little bit more in two positions? But there are bigger mistakes in football. “But they got the goal and it was not an enjoyable game anymore. It was like ‘F***! 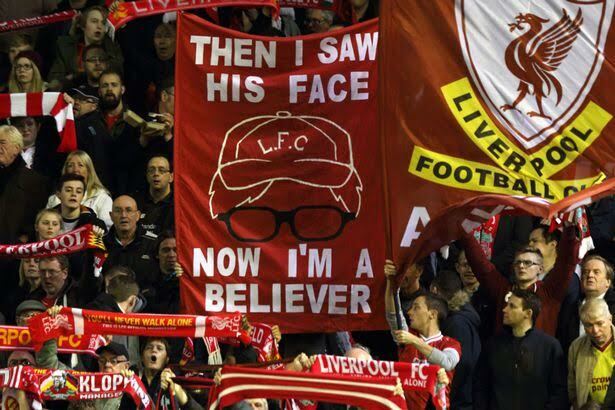 Even when Klopp is on the side we don’t win 8-0!’ But that is the situation. “It is a hard job, but I knew it would be. If I wanted it the easy way, then I would have stayed a little longer on holiday. In many ways Klopp is happy that Liverpool did not steamroll the Russian club, as the match highlighted some of the problems he faces. “What I felt until now is that we all cool down a bit and then we can all start. Everybody understands that it is hard work and it is a long way,” he explained. “At Dortmund in my first season, we had 15 draws. We only lost four but 15 draws and we finished sixth. So it is not easy. But we took the next step, for sure. Okay, if you want the fast result then it didn’t work and it didn’t happen. Liverpool’s next match is against Southampton at Anfield on Sunday, and could prove to be an even bigger test than the games against Tottenham and Rubin Kazan.